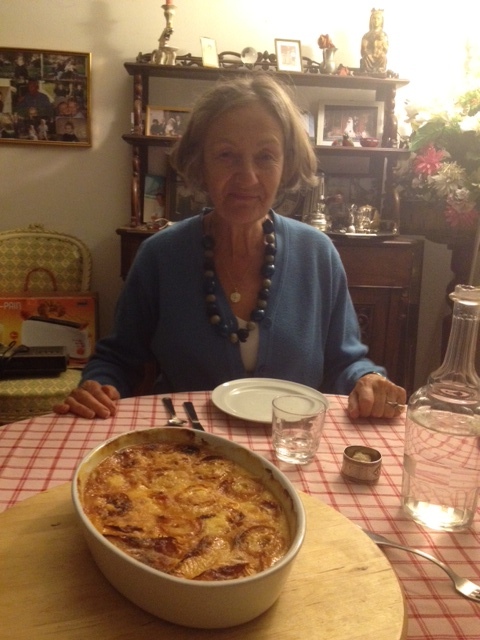 Here is Madame with our amazing clafouti dessert. We decided to call our host mom Madame instead of her full name (Armelle de Vergnette) for several reasons. 1. Her name’s a bit of a mouthful no matter how you cut it. 2. Madame seems more dignified and respectful. 3.It makes me think of the cat-crazy yet graceful and sophisticated character from “The Aristocats”. They are rather similar; both are chic, 70+ French women with awesome hair.